It was one of the most surprising and amazing moments of the Pyeongchang Winter Olympic Games. Imagine it: standing at the upper lip of the beastly half-pipe, nervousness pounding your brain, millions of people watching you in anticipation. You take a moment to breathe calmly…then you drop into the pipe. You don’t even consider for a second that this freestyle ski will soon go down in the history books. It’s hard to think what was going through Nico Porteous’ mind when he was in this very position at the 2018 Winter Games. 16 year-old Porteous has really made a name for himself nationally and internationally. He has been ‘shredding the radical’ around the country and around the world, truly stamping his name in the snow. It’s amazing to think how much this teenager has grown in character, maturity and (of course) the sport over the time he has spent in the spotlight. Stoic, cool and likable in nature, Porteous is now very much a national treasure, achieving what some kiwi sportsmen would never achieve in their lives at a young age. I mean, Porteous was only 14 when he landed a triple-cork 1440 (upside-down three times, and four full spins), titling him as the youngest person in the world to achieve such a trick, so everyone knew from the get-go he was bound for greatness. M2 sat down with the teen Winter Olympian and GoPro athlete and asked him about his interests, his medal-winning halfpipe run, his motivations and what he has planned for the future. I’m a 16 year old Kiwi boy. I was born in Hamilton but moved to Christchurch when I was 5 days old, (it’s great because I can claim to be a Chief or a Crusader increasing my odds of backing a winning rugby team). I spent the first eight years living in Christchurch and skiing weekends with a local mountain race team and then the family moved to Perth. I think us moving to Perth was really the catalyst for us being weekend skiers to taking it a bit more serious. We came back to NZ and spent the winters based in Wanaka and skiing at Cardrona. I was 12 when I did my first back to back winter but it was only for a few weeks. Wanaka is now our home and I live there with my Mum, Dad and older brother, Miguel (2.5yrs older). I didn’t always have the goal of going to the Olympics, I just wanted to ski for fun – and I still ski for fun. I just have other goals as well. How did you first become interested in skiing? We lived for a few months in the UK and went on a family ski holiday to France when I was 4 – the only problem was I had never skied before, so I don’t really know what my parents were thinking taking a 4 year old on a ski holiday who couldn’t ski haha. I can remember the first day just sliding straight down the very beginners slope and trying to stop – the next day I got left at home so I’m imagining it hadn’t gone well. Mum and I had made a chocolate cake and she used a piece of that to explain the “pizza” concept because I just didn’t understand what skiing and pizza had to do with each other, so from then on “chocolate cake” . The 3rd day I was put into a ski lesson and by the 4th I could ski most green, blue and red runs, ride a Tbar and then the fun began. Mum and Dad were so patient they use to always carry a shovel so Miguel and I could build our own little jumps or make a slalom course always sacrificing their own skiing for keeping it fun for us and of course I think there was the odd Haribou included. What’s your favorite go-to ski destination? After getting to ski at lots of different resorts I still get super excited and love skiing at Cardrona and I have the added bonus of sleeping in my own bed. 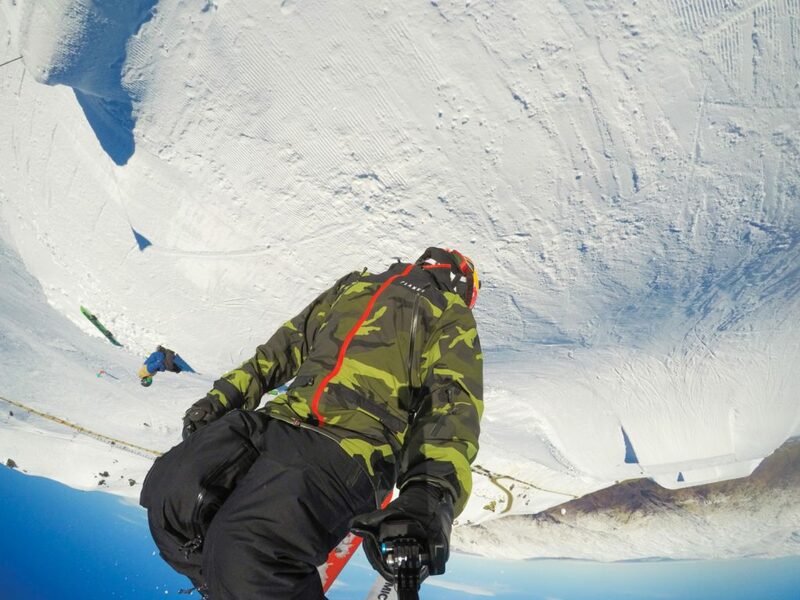 What kind of care does a skier have to take to their body? Is there rigorous ski-training involved, hitting the gym hard and a balanced diet? Freeski slope and pipe is a brutal sport on the body. Our bodies take some huge hits and the forces involved are big. Most of us spend considerable amount of time in the gym getting strong, it’s a big part of injury prevention. I think in the Men’s Olympic ski Half pipe final 7 of the 12 have had knee reconstructions so we all work hard on neuromuscular landing patterns. I don’t really follow any hard and fast diet plan, I just try and eat a healthy diet with some extra protein. 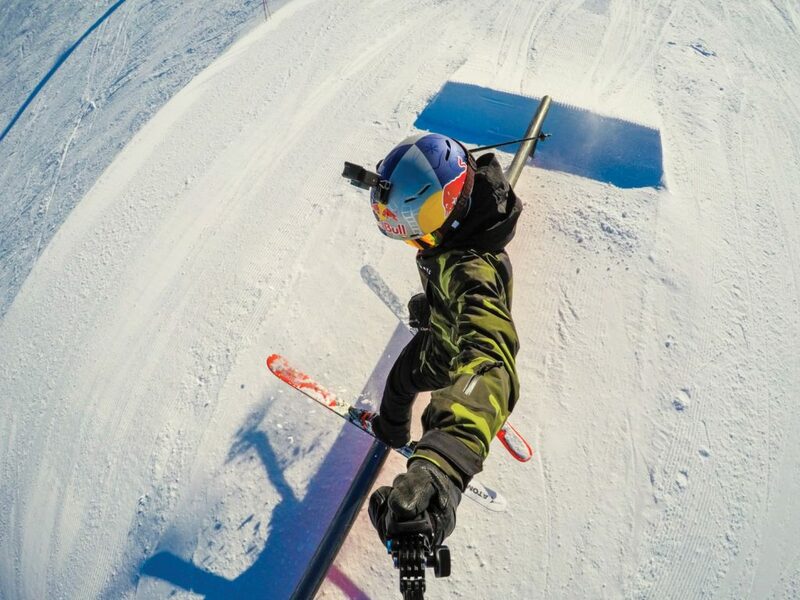 What’s the best part of skiing, in your opinion? The best part of skiing for me is being outside in the mountains. I also like there are “no rules” (excluding ski resort safety rules) you can just ski how you want to ski, you can do the tricks you want to do and it doesn’t matter how good or bad you are you can get out there and enjoy it. There are not many sports you can enjoy as a whole family right from pre schoolers to grandparents. What gear do you recommend? That’s the good thing about skiing you don’t have to have the latest gear – the new gear certainly makes it easier to ski but it’s not essential to have to have fun. I certainly recommend to always ski with a helmet and eye protection whether that’s goggles or sunnies and of course you need a camera like GoPro to capture those epic rock drops or big crashes for bragging rights at the end of the day. On the 22nd of February this year, you were awarded a bronze medal in the men’s halfpipe, making you the third ever New Zealander (and first male New Zealander) to win a medal at the Winter Olympics, scoring a very impressive 94.80 on your second run! How did that experience make you feel? Yeah that was a big day and even now 3 months later I sometimes still can’t believe I actually did that. At the time I was just stoked to make the finals and land a personal best run but to do the second personal best run was beyond my dreams. I just couldn’t believe I had done it – it was quite over whelming really especially the days that followed. I hadn’t prepared for that. How do you prepare yourself mentally and physically for a ski competition? The mental side is huge in any sport and ours is no different, most of the guys in the final have the same calibre of tricks and it just depends on who can put it down on the day. I get really nervous but I also know I have to be nervous to ski well, I can’t have one without the other. A big part of mental prep for me is visualization and during the 6 months prior to the Olympics I was stacking Point of View footage on my GoPro of each of the tricks in my run and then stitching them together so I had a complete run without having had to do the run all in one go. 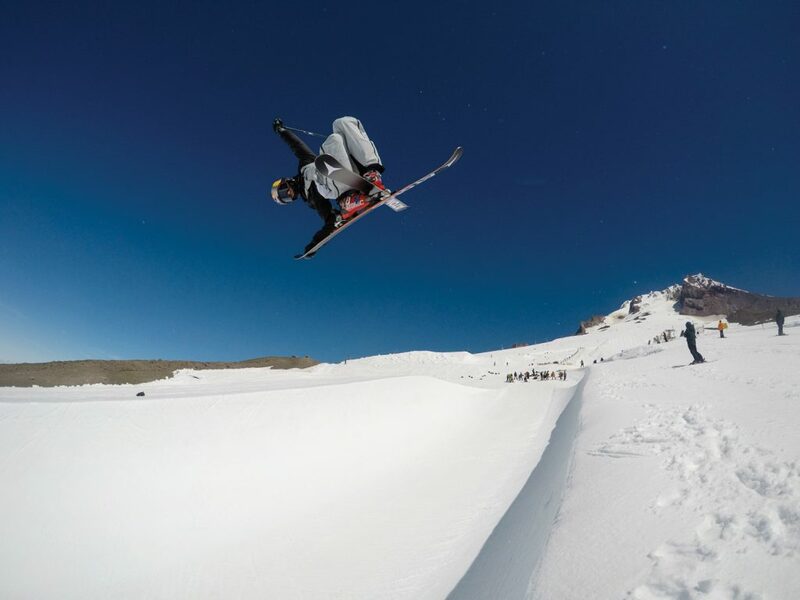 I injured my knee in December 2 months before the Olympics and came back to NZ for 6 weeks of rehab and gym work so that stitched together GoPro run was super important as it was so much easier to visualise my tricks with it. I have been brought up both on the mountain and off to just be the best I can, so I’m always striving for that little bit more, and I like to get things right, I’m a bit of a perfectionist. What would you say the best moment of your career has been so far? Definitely the Olympic moment has to be up there but another really important day was watching Miguel get Silver at X-Games in 2017, I had tears in my eyes, it just made it seem possible that maybe I could be like him one day. I did fore-run the Men’s Super Pipe event at Aspen X Games in 2014 and as a 12 yr old to be involved in that was certainly up there. I’m having a big school focus this year. 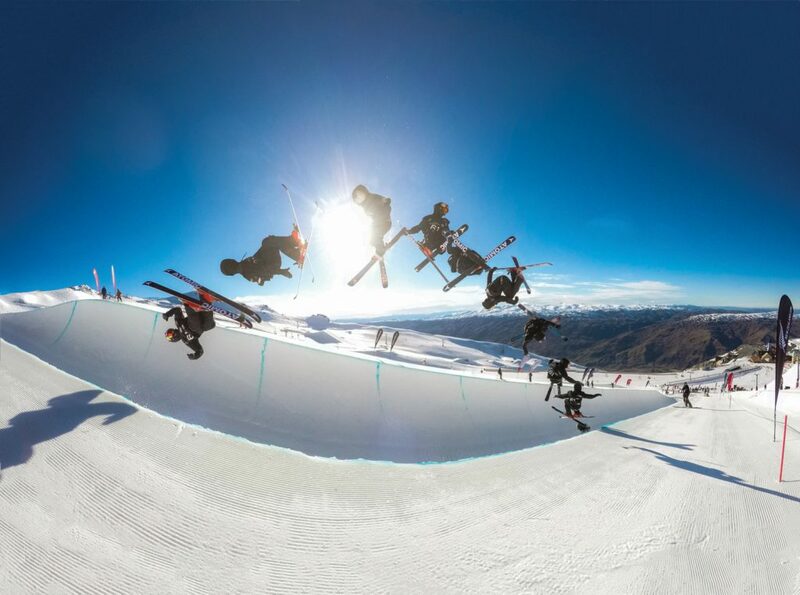 I’ll do Junior Worlds in September as part of the Audi Quattro Winter Games and then it will be on to the Northern Hemisphere for the World Cup halfpipe circuit. The 4 year plan is definitely to try and qualify for the 2022 Winter Olympics in Beijing. What advice would you give to young, budding skiers wanting to make their passion into a career? I’m not sure I can really give advice because I haven’t had much experience and still learning heaps myself, but I think the things that helped me were having ski raced for 5 years before really getting into the park, having a dream, and then making a plan on how to turn that dream into a reality. I think if you start with good fundamentals you have the base to build on a bit cliché but it’s probably true. I think the best piece of advice someone gave me was to “control the controllables”. By that I mean don’t spend time worrying about things you have no control over e.g. the weather, what other athletes are doing. We used to make a plan for a run I would do at a comp and if I did that plan and skied well – I had won regardless of what the final score sheet said. I think that’s when it comes back to being in a competition with yourself and always just wanting to do your best.